This controversial redevelopment project has gained planning. The original architect of this Modernist housing was Erno Goldfinger. 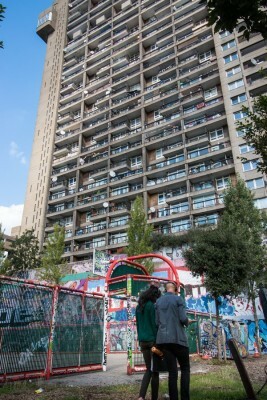 The Architects Journal reports on 18th December 2015 that Ministers had upgraded the listing of the Balfron Tower in Poplar, London, to Grade II* from Grade II. The Department for Culture Media and Sport (DCMS) has also listed the neighbouring Glenkerry House at Grade II. DCMS declined to upgrade the 11 storey Carradale House block on the estate from its existing Grade II listing, but will give it an improved list entry. The department agreed with a recommendation from Historic England not to list the remaining buildings and landscaping on the estate. -Failure to meet statutory affordable housing targets. -Failure to meet best practice guidelines on inclusive consultation. -Failure to meet adopted standards defining heritage significance. It is wrong to submit this planning -Failure to meet best practice guidelines on accountable regeneration. 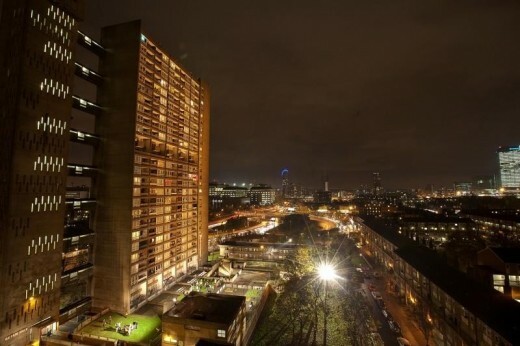 20 Nov 2015 – Controversial changes to the internal layout of Erno Goldfinger’s 1960s Balfron Tower in east London have been recommended for approval by planners, reports the Architects’ Journal. 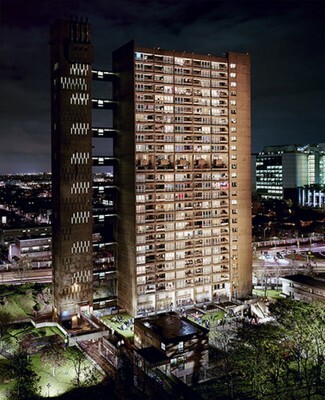 27 Oct 2015 – The Twentieth Century Society has called for the scrapping of plans by Studio Egret West and Ab Rogers to revamp Erno Goldfinger’s Balfron Tower. According to the 20th Century Society, “The tabula rasa caused by the Blitz allowed the London County Council (and later the Greater London Council) to embrace the ideal of concentrated living, an anti-utopian model. 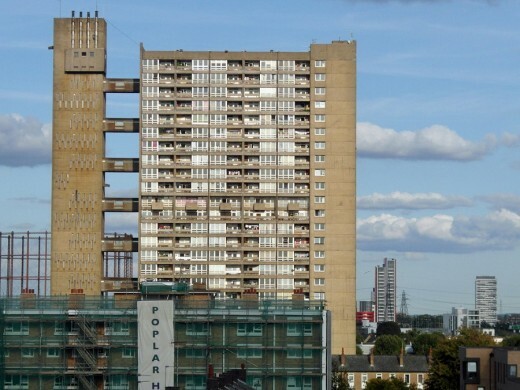 Over the course of the 1950s to the 1970s, modern architecture spawned Brutalism, an aesthetic that was adopted by Poplar in the East London borough of Tower Hamlets, with Balfron Tower and its neighbouring Robin Hood Gardens estate. 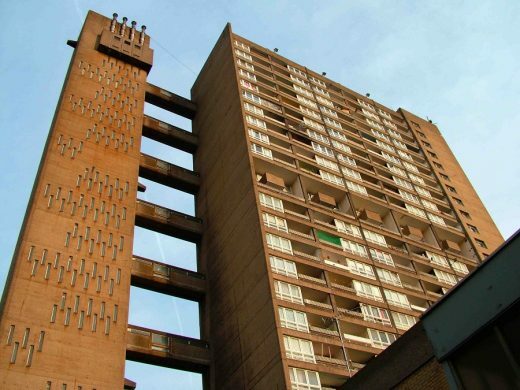 Commonly dubbed the “younger sister” of Trellick Tower, Balfron Tower is due for renovation next year, before which residents will have to vacate their properties. Designed by Erno Goldfinger and built in 1967, Balfron gained Grade II listing in 1996. 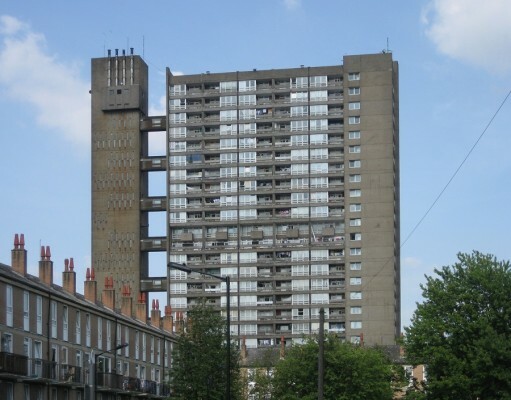 Trellick Tower in North Kensington designed by Erno Goldfinger was made Grade II* status in 1998. A challenging two-week showcase, held at the London Festival of Architecture. 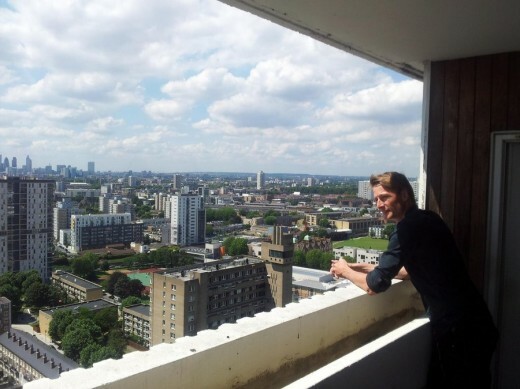 Denmark is one of ten countries choosen to be represented at the showcase, which deals with creating new proposals to improve the modernistic planned area in East London called Poplar. Whether there will be interesting debates, only time will tell. The showcase kicked off monday 9th of June and the results will be announced at a large event on June 21st in the Balfron Tower. The showcase is an annual recurring event and one of the main attractions at the London Festival of Architecture. The showcase lasts 2 weeks where the participants will develop an architectural project that will be put on display. 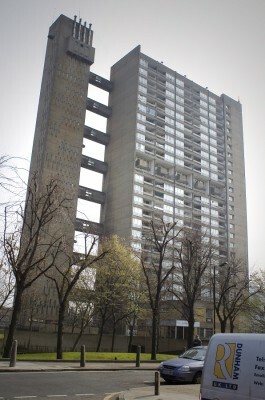 During the workshop, the ten participating countries will stay in Balfron Tower.